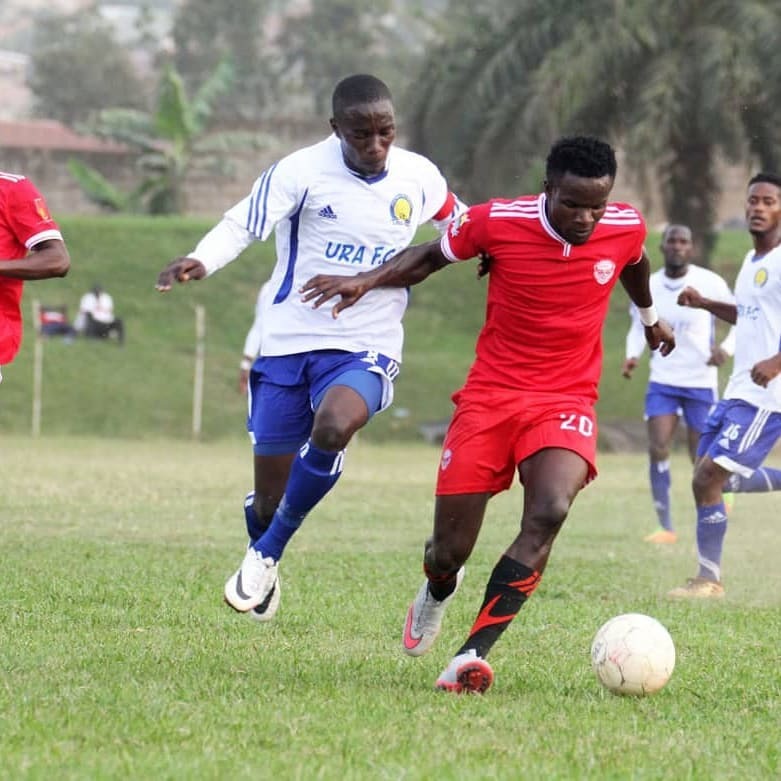 Express and URA played out a goalless draw in one of the four fixtures of the StarTimes Uganda Premier League played on Tuesday afternoon. The game saw limited goal mouth activities with the most happening in the last 40 minutes of the encounter. Before kick-off, the game was delayed for 30 minutes as Express failed to provide the mandatory security required before kick-off. The game finally kicked off one minute past five o’clock with no worthy action taking place in the first ten minutes. On 13 minutes, URA striker Peter Lwasa powered his way into the Express penalty area but his low cut-back was deflected out for a corner. The resultant corner was comfortably dealt with by Tony Kyamera in the hosts’ goal. Seven minutes later, Saidi Kyeyune tried his luck from distance but could only look on as his shot sailed over Kyamera’s goal. Express’s first chance of the game came on 23 minutes when striker Eric Kambale received a short pass from Micheal Birungi and turned before shooting tamely at Alionzi Nafian in the Tax Collector’s goal. With one minute of the first half to play, Lwasa raced down the right and unleashed a fierce low drive that was saved by Kyamera who ensured the half ends 0-0. At the start of the second half, URA coach Sam Simbwa made a double substitution, bringing on Moses Sseruyidde and Budallah Nyanzi in place of Saidi Kyeyune and Robert Mutakubya respectively. On 48 minutes, Ibrahim Kayiwa who had been silent all afternoon got his first sniff of goal, unleashing a powerful drive which was punched away by Alionzi. A minute later, Express also made a substitution of their own, taking off the ineffective Badru Nsubuga and introducing Davis Mayanja. On the hour mark, Kayiwa gain tested Alionzi, this time heading straight at the custodian following a cross from left back Disan Galiwango. Moments later, Simbwa made his last substitution taking off the seemingly tired Vitalis Tabu and replacing him with Mathew Odong. On 63 minutes, Kefa Kisala also made another sub, introducing Mubarak Nsubuga in place of Birungi. Moments later, Nsubuga made instant impact as he ran down the left and passed for Mayanja who teed up Kayiwa to shoot off a defender and the ball went out for a corner. From the resulting corner Shafic Kaketo headed Galiwango’s cross agonizingly wide of the target. Express looked to be asking more of the questions in the second half and on 71 minutes, Tony Odur missed a golden chance to put the hosts ahead as he headed straight at Alionzi following a teasing cross from Mayanja. With time running out, the referee produced two yellow cards, first to Galiwango and another to URA midfielder Siraje Ssentamu. Deep into additional time, Express got one final chance to win it but Kambale headed wide another Galiwango cross. The result takes URA into second in the log, two points behind leaders Vipers SC who defeated Maroons 2-1 on the same day. Express who have a game in hand remain in the bottom half with one point from as many games.